Cross and Cutlass: If you can't go to the Ocean, bring the Ocean to you! If you can't go to the Ocean, bring the Ocean to you! You may wonder what I've been up to besides writing my next novel, being a housewife and mother, and taking care of my granddaughter? 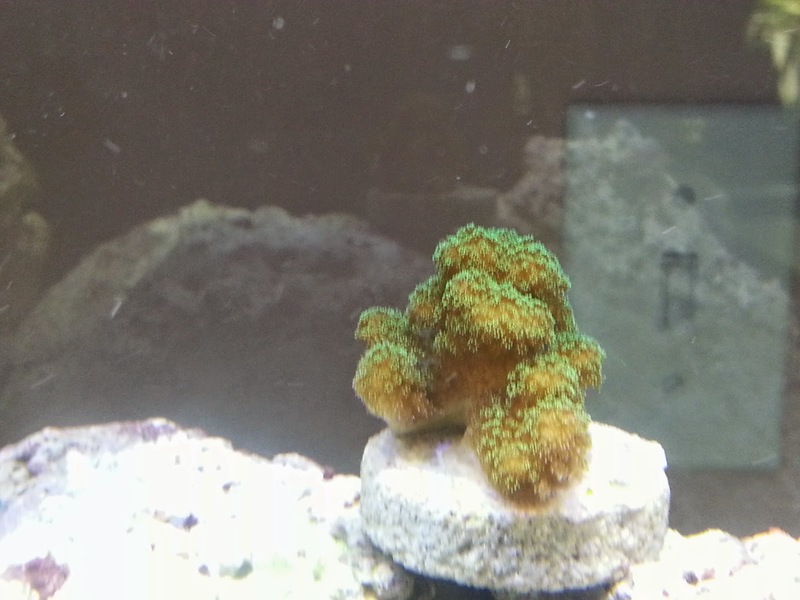 Well, I've started a REEF tank. What is a REEF tank? Picture taking a small piece of the Great Barrier Reef, putting it in a glass Aquarium and keeping it in your house. There you can enjoy all the colorful corals and rocks, tiny creatures like crabs and snails and shrimp and clams, anemones and clown fish. In fact, there's all sorts of gorgeous creatures you can add. Trouble is, it's not easy to start one or maintain it and there's so much to learn. But so far so good. Without boring you too much with the technical details, the first thing you do is cycle the tank. You fill it with water, add special salt until it's the right salinity, add filters and pumps and a protein skimmer. Buy a good LED light that mimics the sun and then add live sand and live rock. The tank must then sit for at least a month, usually two while it goes through it's cycle of getting rid of toxic chemicals like Ammonia, Nitrate, and Nitrites. As the good kind of bacteria rise to eat the bad kind, these poisons are eliminated and then you can add some initial creatures. For me it took six weeks before my tank cycled. You may wonder what Live rock is. Live rock is harvested from the sea and is encrusted with coralline algae and inhabited by a multitude of marine organisms. The many forms of micro and macroscopic marine life that live on and inside of the rock, which acts as an ideal habitat, give it the name "live rock". 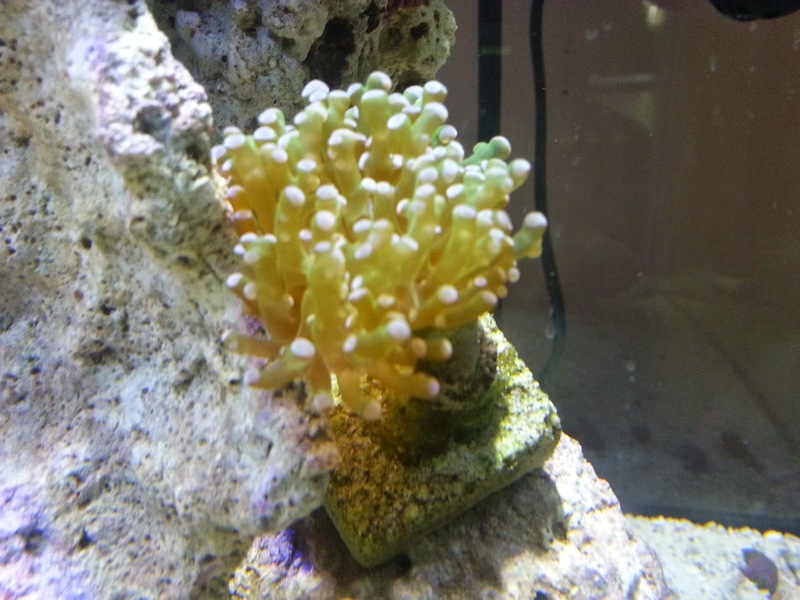 It acts like a biological filter for the reef system and can greatly benefit any tank. 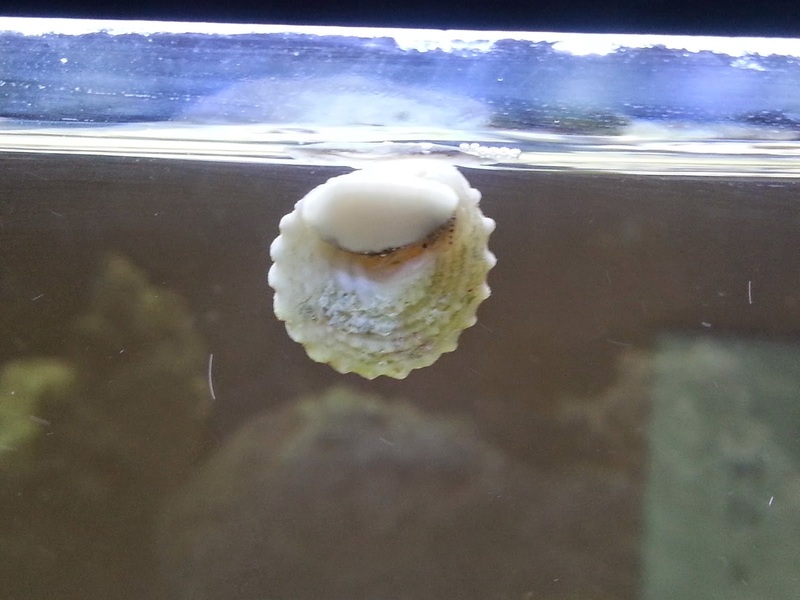 ALSO.. as the tank matures, the little creatures that live in the rock start to come out. 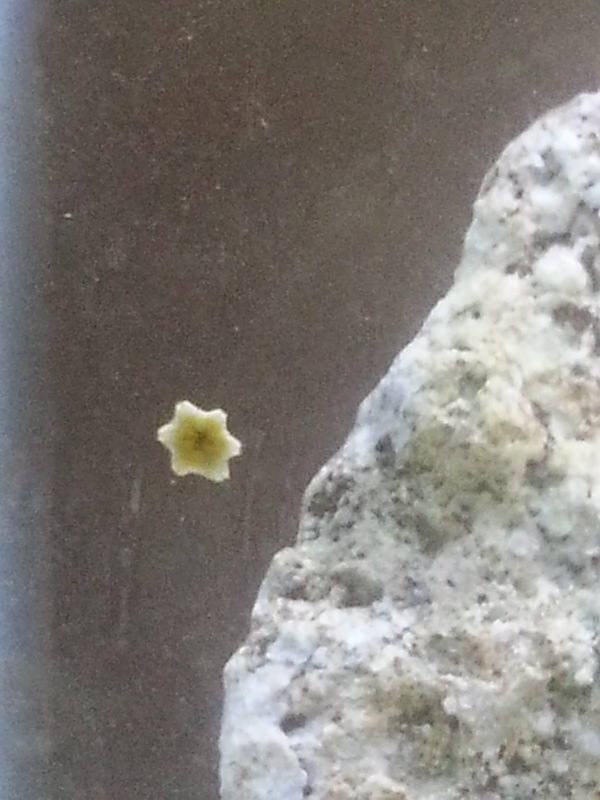 For example, just a few weeks ago, I spotted this baby starfish clinging to the side of my tank. He is no bigger than the tip of a needle. Cute huh? For some reason, my anemone is all closed up today. He's either sick or tired or just moody. 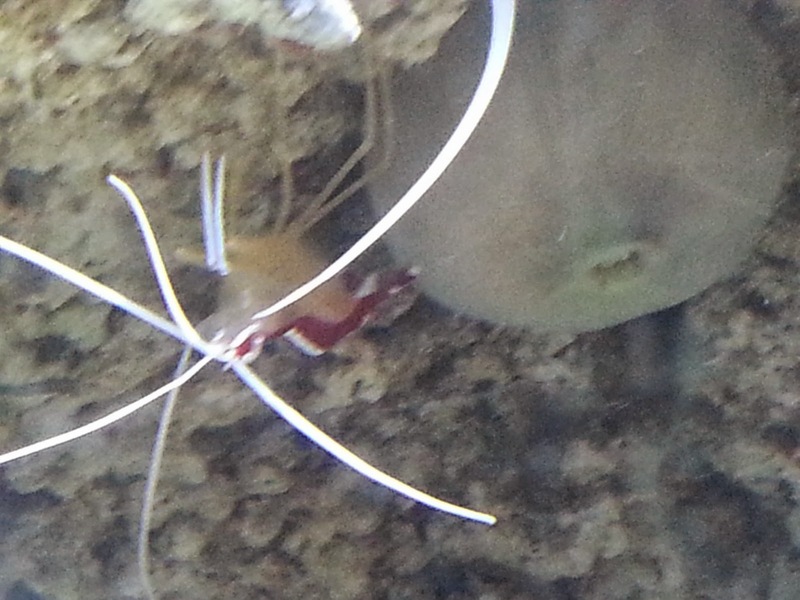 The white tentacles are from Jacques, my shrimp who is trying to take over Mr. Anemone's cave. A close up of my shrimp, Jacques! Cool, huh? I'll post periodically on my progress. It's an exciting hobby. Plus, since I can't live right next to the ocean like I'd like to, this is the next best thing. Now, If I can only find a real mermaid to put in there. That would definitely be inspiration for my next book! "Morning, MaryLu .... and Caroline too". Well, your reef tank is coming along beautifully !!! You must be very proud of it, and I can see it took patience as well. Great job, it's really neat ! Getting more interesting as time moves on. A joy to watch the progress, and, it must be quite the inspirational piece to helping you write your new novels. You have much more patience then I do, but I enjoy looking at your persistence that's paying off. MERMAID?!?! Absolutely! Would definitely read that book. Morning Cap'n! Nice reef tank you have going there. Thanks for sharing it with us. Like you, I love the sea too but don't get there often. MaryLu, I think this is utterly amazing - I have always wanted to see the Great Barrier Reef, or any coral, up close and personal. However, having nearly drowned at a church camp when I was young and having a fear of my head being underwater (even to snorkel) - guess my gazing will have to be limited to TV videos. I did view some coral while riding in a glass-bottomed boat, however, it wasn't as colorful as I was hoping (after viewing the vivid colors in various videos). I loved having goldfish and tropical fish tanks for many years, but saying the reef tank is "a step above" would certainly be an understatement. Where did you hear about the reef tank and where do you buy the supplies/creatures?? Haven't been in a pet store for quite some time, but I'm guessing they don't sell these things?? Also guessing they may be more available the closer you live to an ocean?? This is just beautiful - looking forward to watching it grow!! More of God's amazing world/creatures, eh?? And just how did you spot that tiny starfish - is your eyesight that wonderful, or did you use a photo lens or magnifying glass (LOL)?? Thanks for the info and the beautiful and amazing pics!! Have a joyful and blessed weekend!! Prayers, love, and hugs, MaryLu!! Thanks everyone for sharing my enthusiasm! I'm excited to see what happens. Even as I'm writing this, my anemone has come out of it's shell and is moving toward the light. 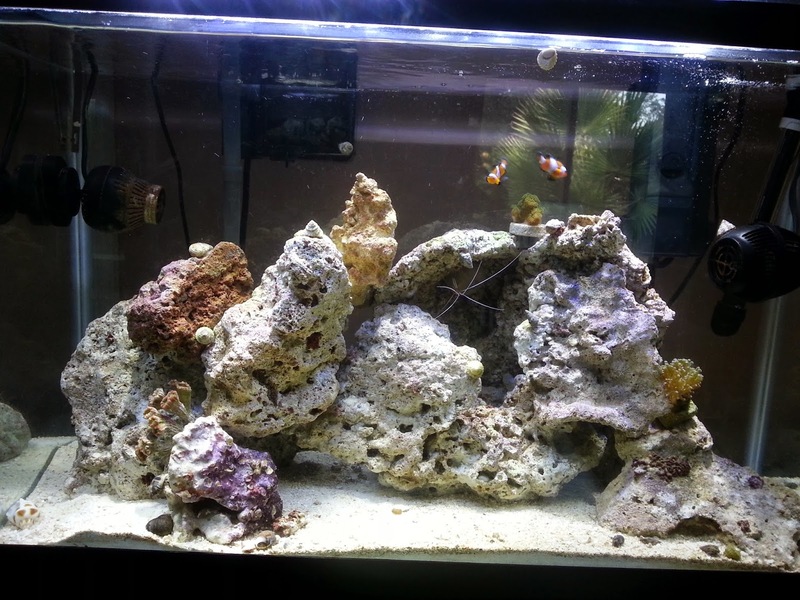 Those corals should also grow and take over the rock. Bonnie, I'm so sorry you nearly drowned!! how horrible! I don't blame you for not wanting to swim anymore. I've always wanted to see the Great Barrier Reef too. I have snorkeled in Florida and Hawaii and both are beautiful. 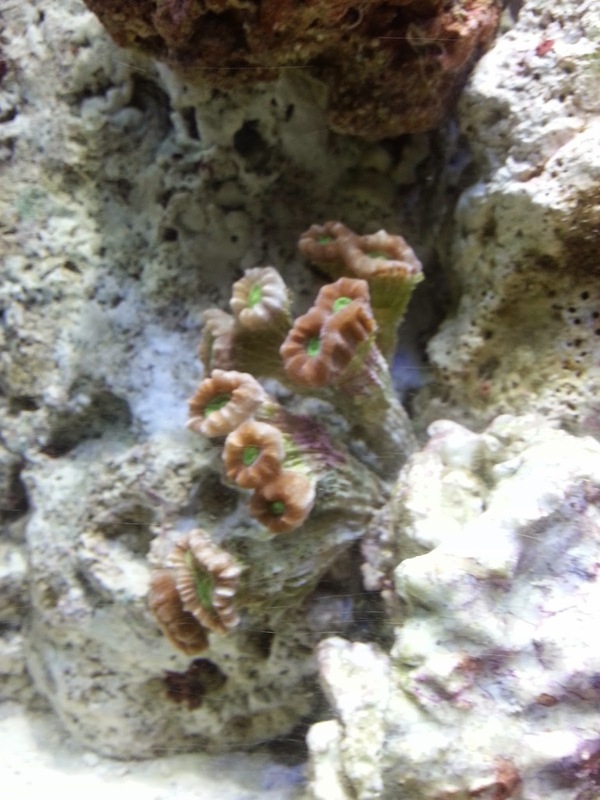 I heard about "reef" tanks from my son, who a few years ago, started up one in his house. He heard about them from a local fish store where he saw some set up. Yes, there are some specialty aquarium stores that sell all these little creatures.. plus you can order them online. This is so awesome....I bet you can stare at it and just get lost in thought. That starfish is so cute! How cool! I spotted a few clown fish, too! Such a fun hobby. I've never heard of a reef tank. How beautiful! I've never heard of a reef tank either. It will be fun to watch your's grow, thanks for sharing! Thanks everyone! Yup. I have two clown fish. 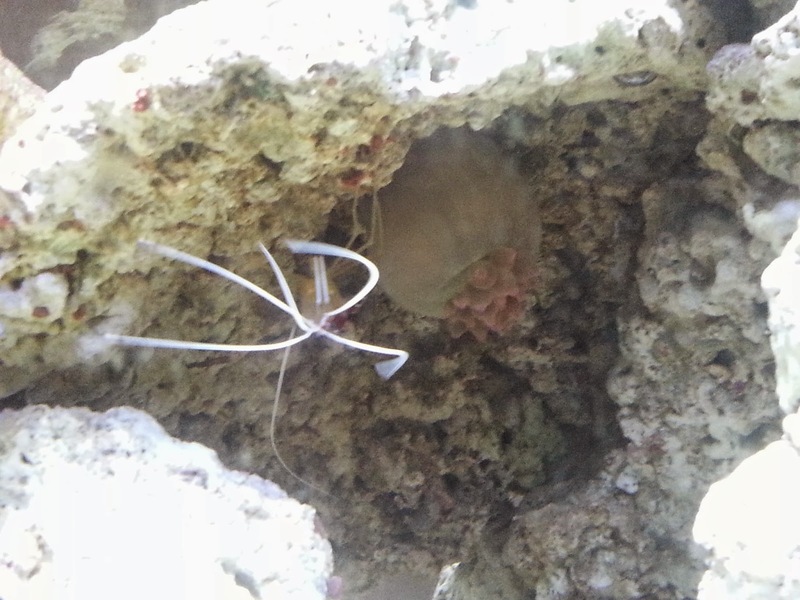 If my anemone survives and starts to open, they will bond with him and live in his tentacles. I'm hoping that happens. Will keep you posted. Yes, I love staring at it! It's so soothing. Too cool! I have always loved aquariums. They put you at peace and soothe inner turmoil IMHO :) Never had a salt tank, but they are so beautiful. Thanks for sharing! That is soo cool that your growing things. I love your star fish. How big has it getten?? What color is it?? 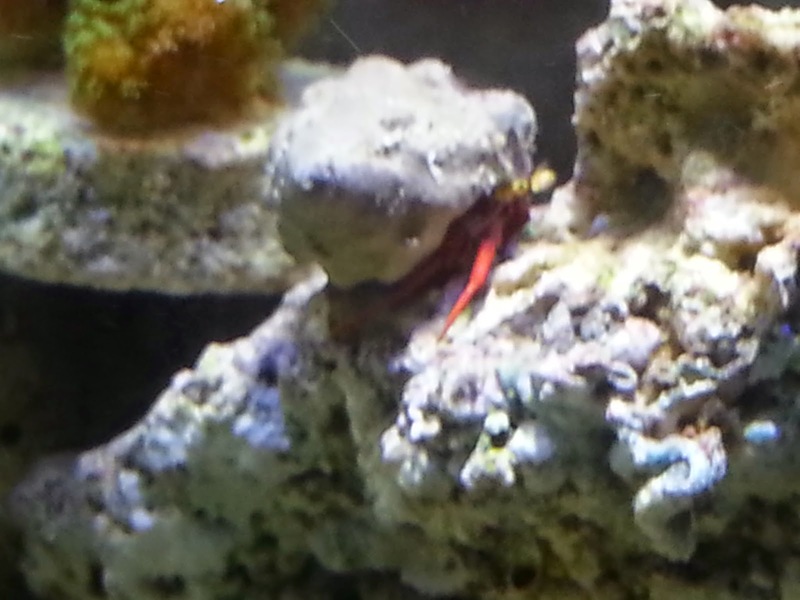 I also like that you have Nemo in your tank. :).